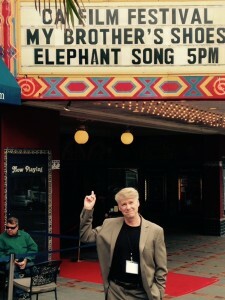 Our composer for My Brother’s Shoes – Jordain Wallace – appeared on Good Day Sacramento and talked about composing for film and even played a song called “Dallas’ Theme” from our current film. It was great! The music for the film makes a beautiful soundtrack. The clip below has a 30 second “ad” from Good Day Sacramento but the clip with Jordain follows right after. 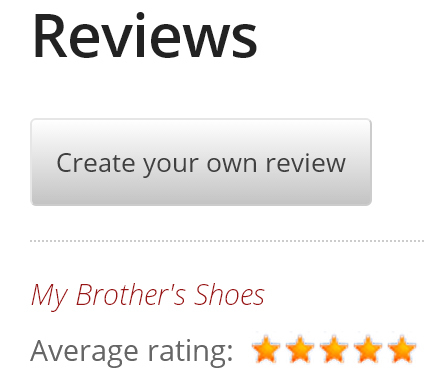 Our Review Page is Now Up! 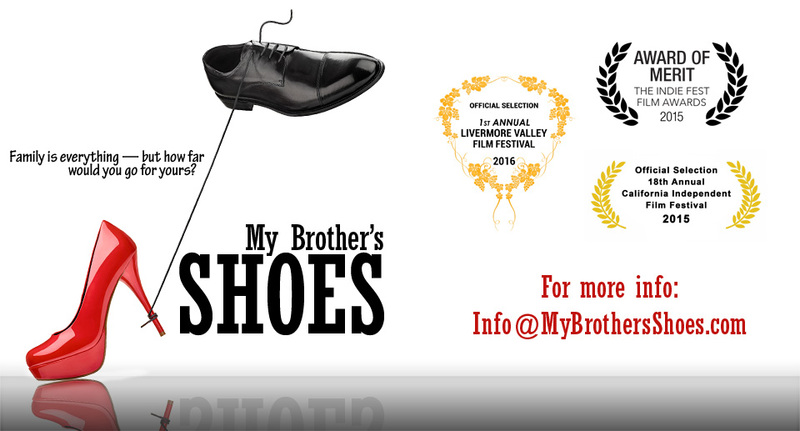 Have you had a chance to see My Brother’s Shoes yet? It will be playing at the Vine Cinema on Oct. 1st in Livermore if you have not OR you can order a copy now in Blu-Ray or DVD right here on this site. If you have seen the film – please, we welcome your comments. Simply go to our REVIEWS page and you can write comments, give us a rating from 1 to 5 stars, and generally let us know how you felt about the film and the actors portraying the characters. You don’t have to give your real name if you want to remain anonymous. We appreciate any and all feedback and comments! 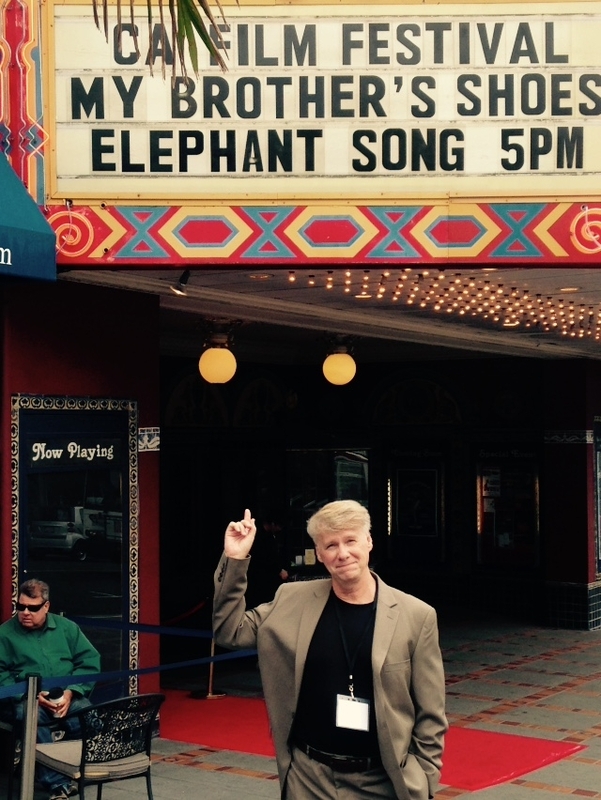 Here stands the proud Director and Writer of the hit movie My Brother’s Shoes playing at the historic Castro Theatre during the CA Indie Film Festival! I have to say – even I think he looks good in this picture!! HA HA! Maybe for the next film he will have a small role! Any votes for that?